The first call for volunteers for ‘Service of a hazardous nature’ was in the early months of 1940 and for the new Independent Companies. Many of these men went onto action in Norway almost immediately with little training. On their return Winston Churchill wanted his own Corps of ‘shock troops’ to start afresh. Lt Col Dudley Clarke, who was then Military Assistant to the Chiefs of the Imperial General Staff, is generally credited with the initial outline plan of their formation. His plan was approved and the name agreed on. Thus the ‘Commandos’ were formed. The Commando Boat Station at Achnacarry was on Loch Lochy at Bunarkaig. A small fleet of various craft was assembled for training in basic seamanship and landing drills. Amongst this armada were whalers, cuters, landing craft, dorries, canoes, rubber dinghies, kapok bridge rafts, and collapsible Goatleys. They were all stored in or moored alongside a little stone boathouse. Instruction began with a short film on the role and functions of Combined Operations, and the various craft used for training and operations. Initially formed at Braemar in Scotland in December 1942 and called the Commmando Snow and Mountain Warfare Training Centre. 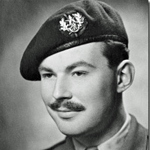 The Commanding Officer was Squadron Leader Frank Smythe, an accomplished mountaineer. Its role was to train Commandos to fight in high snow covered mountain territory. After 6 months the unit moved to North Wales and assumed a different role including the training of Lovat Scouts as a Mountaineer Battalion. A good map of the various locations of training described on our archive. This document has a brief history of the Commando Mountain Warfare Training Centre (C.M.W.T.C) and was prepared for a C.M.W.T.C. commemoration dinner on 30 November 1945. If the document does not load immediately in the viewer , refresh this page, or download from above. The following pages, compiled by the Commando Veterans Archive and published on the 10th February 2014, are designed to give the reader an insight into Commando history and training, and of the close association that has developed since then, between serving Commandos, Veterans, and their families, in the many areas such as Lochaber where they trained in WW2, and the places where they train nowadays. This section also includes an hour long film made about their WW2 training. The following pages will tell you a little about current Commando training for the Royal Marines, and the All Arms Commando Course for the other Services of today, but first read about the changes the Commandos went through post war. Extract from Comando Association newsletter 56 issued March 1973. This is an account of a Commando Mountain Warfare Training Centre reunion held at St Ives on the 24-26th September 1993 as outlined in Commando Association Newsletter 98 of March 1994. 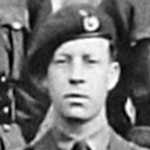 Gunner C. Anderson of St Ives Cornwall served at the Commando Mountain Warfare Training Centre. Commando Association newsletter 118 Obituaries issued February 2004. Read more about ANDERSON, C.
Company Quartermaster Sergeant Alexander Austen, 1st Special Service Brigade Signal Troop, was awarded the British Empire Medal in recognition of his exemplary service . 1929 enlisted in the Royal Corps of Signals. 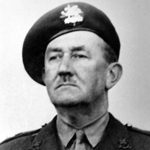 Captain Richard Baxter served in 45RM Commando and during 1945-6 on the staff of the CMWTC. Post war he was ordained Reverend and was appointed OBE in the 1964 New Years Honours List "for public services in Nyasaland." CA Newsletters 38 and 98. London Gazettes Supp 43200, page 23. Lance Sergeant Beaton served at Achnacarry. Extract from Commando Association newsletter 45 issued Sept. 1967. "L/Sgt. (later Drum Major) J. W. Beaton (C.B.T.C.) (now a member of the A.A. Road Staff in Inverness-shire) still pops round occasionally to the old domain at Achnacarry. Although the place has greatly changed and the old assault landing beach is overgrown with heather and bog myrtle a few landmarks remain, and the telegraph." Read more about BEATON, J.W. 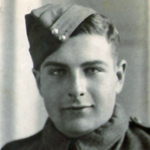 Lance Sergeant Roy Bellringer served with 1 troop and took part in the raid at St Nazaire. He was on board ML 446 and was evacuated back to the UK. In July 1942 he was part of the No 2 Commando Boxing Team. We have numerous photos in the gallery of him both before and after St Nazaire, and in an image of the boxing team. 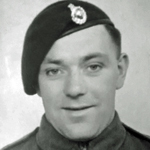 Peter John Berrisford was awarded the MM in recognition of gallant and distinguished services in North Africa whilst a Sergeant in No 6 Commando . 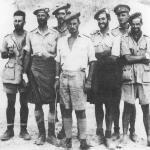 He was noted as having spent four days alone on Djebel El Azzag (Green Hill) after the aborted attack on 30th November 1942. During that time he lay by himself on the plateau observing the location of the German machine gun positions, returning to the Commando on 3rd December 1942 at Sedjenane . Stanley Bissell joined the Metropolitan Police on the 1st March 1926. In 1930 & 1934 he won silver medal at the British Empire Games middleweight freestyle wrestling events in Canada and London. He was then posted as self defence instructor at the Metropolitan Police Training Centre at Peel House. He attended the Army School of Physical Training to assist him in this new Police role. Read more about BISSELL, SSgt. Transcript of a speech. 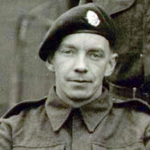 Former Lance Sergeant C. F. Chaplin of the Commando Basic Training Centre (C.B.T.C. ), died in 1956. [Source: Commando Association newsletter 23]. Read more about CHAPLIN, C.F. 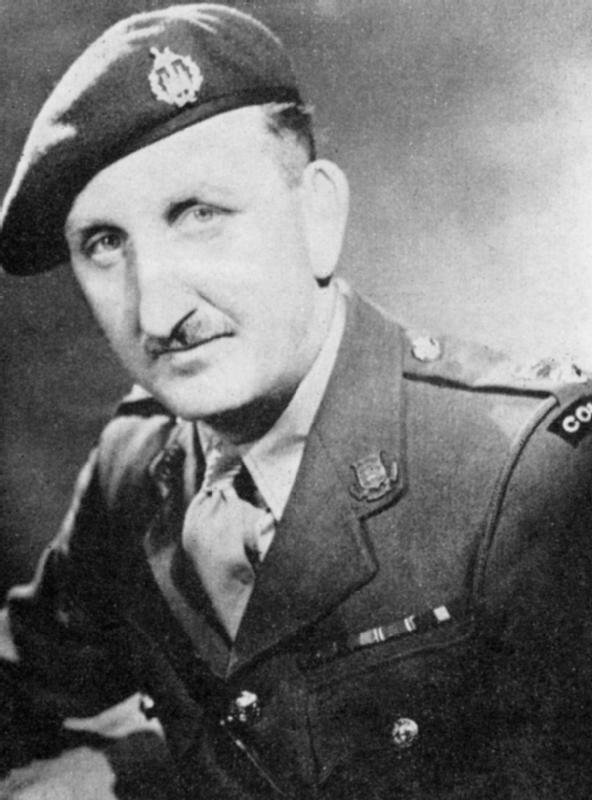 Major William Cockcraft was second in command of the Commando Depot at Achnacarry, later renamed the Commando Basic Training Centre . 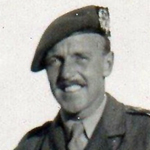 Commando Assocation newsletter obituaries listed his details as "Major W.G.T. Cockcraft (CBTC) from Hartley Wintney, Hants." . 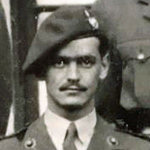 Captain Douglas Cotton Minchin was missing reported presumed killed after his patrol prior to the planned attack at Lake Comacchio, Italy, came under fire. He had earlier served with 12 Commando on the Lofoten raid, and had also been Chief Instructor at the Commando Basic Training Centre. Arthur Dallen, former RSM at the Commando Basic Training Centre, and for many years a Senior Prison Warder, was shot dead by terrorists in Nicosia, Cyprus . He was a Senior Warder at "K" Camp, Central Prison, Nicosia . Obituary in Commando Association newsletter 28 issued March 1959. Commando Association newsletter 24 issued March 1957. [Middle name] London Gazette Issue 41552, page 103. 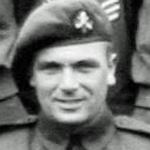 Sergeant George Dicks was an instructor at the Commando Mountain Warfare Training Centre. He was awarded the B.E.M. (Military Division) on the 1st January 1946. Reunion at St Ives document below. London Gazettes Supp. 37412, page 310. His rank shown as in LG entry. Shown elsewhere as CSM. James Dunning was one of the original volunteers for No. 4 Commando. Promoted Troop Sergeant Major he took part in the Lofoten Islands and Dieppe raids before being commissioned Second Lieutenant on the 22nd May 1943. He then served as an instructor at the Commando Basic Training Centre. After recuperating from a spinal injury in a night parachute descent he was appointed Adjutant at the Commando Cliff Climbing Centre in St Ives. The death of Sergeant Leslie 'Jack' Evison of Peterborough, Cambs., was announced in Commando Association newsletter 112 issued March 2001. He served at the Commando Basic Training Centre. The death of Sergeant Vallance Freeman of Paignton Devon, was announced in Commando Association newsletter 112 issued March 2001. He served at the Commando Mountain Warfare Training Centre. CSMI Alex Frickleton was the head of the Physical Training Team of Sgt's Bissell and Bellringer at the Commando Depot, Achnacarry. In his book It had to be Tough, the author James Dunning describes CSMI Frickleton's role and adds that he was " a splendid warrant officer." Lance Sergeant John Garraway was on the staff of the Commando Basic Training Centre and also later at the Holding Operational Commando. Post war he emigrated with his family to Canada in 1957. 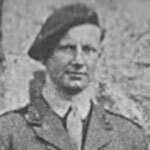 Lance Sergeant Albert Garrett served on the staff at the Commando Basic Training Centre from 9th August 1943 - 24th Feb.1945. 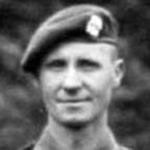 Donald Gilchrist was serving as a Captain in the Cameronians when he volunteered for the Commandos. 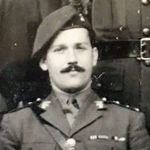 After acceptance he went to Achnacarry in February/March 1942 and successfully completed his Officer Training after which he was retained there as an Instructor. Achnacarry had just opened as the new Commando Depot, later renamed the Commando Basic Training Centre, and staff were needed to assist with the initial intakes. Private Watson Hansen served in the Commando Pipe Band and Demonstration Troop at Achnacarry. Post war he resided in Kirkdale, Liverpool. Commando Association newsletters 55 and Obituaries of 67. 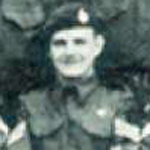 Sergeant Derek Ion served with No 3 Commando and on the staff at the Commando Basic Training Centre. Lieutenant (Temporary Captain) Arthur Komrower was appointed D.S.O. in recognition of gallant and distinguished service whilst temporarily commanding No. 3 Commando during operations at Termoli, Italy, between 4 -6 October 1943 . This was during Lt. Col. Peter Young's short period of illness with malaria . 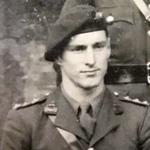 Brian Lees served as a Lieutenant in No 2 Commando and is included in pictures in our gallery of the officers at Gibraltar in 1943. 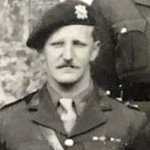 At some stage after that he is posted to the staff at the Commando Basic Training Centre and is included in a 1945 photo of the Officers there. Post war he settled in the 50's in Illinois, America, and is referred to as Doctor Brian Lees in Commando Association Newsletter 26 of March 1958. His death was announced in a later newsletter which additionally showed the fact he had served in the CBTC (CA Newsletter 56). Private Arthur Lidbetter served on the staff at Achnacarry. Post war he resided in Cambridgeshire. Commando Association newsletters 71 and Obituaries of newsletter 100. Fusilier Bill Magennis served in the Pipe Band at Achnacarry. Now Pipe Major of the lst Bn. Black Watch (R.H.R.) of Canada and stationed at Camp Gagetown, New Brunswick is ex Fus. Bill Magennis who served in the Commando Pipe Band at Achnacarry. Lieutenant Alan Milne served in No. 3 Commando, and on the staff of the Commando Basic Training Centre at Achnacarry. He was blinded in the River Aller crossing, Germany, April 1945 . 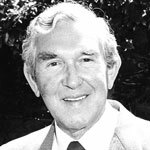 Born at Marlow in 1922 and educated at the Dragon School, Oxford, and Uppingham. He enlisted in the Army immediately on leaving school in 1939 and served first in the Royal Artillery and then in the Commandos. It was when leading a bridgehead commando in Germany in the spring of 1945 that he was hit by a sniper's bullet which blinded him . 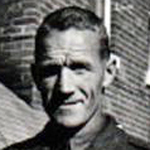 Dennis Murphy was serving as a Guardsman in the 1st Bn of the Irish Guards in 1938 when he was awarded the Military Medal for his " conspicuous gallantry during an engagement with an armed band in the vicinity of Deir Bejjala o the 18th August 1938", Recommended by the Officer Commanding British Forces in Palestine and Trans-Jordan. A copy of his citation is in the National Archives ref WO373/92/125. Second Lieutenant John Proctor received his commission into the Camerons (1st Liverpool Scottish) on the 10th February 1940. He later volunteered for the Independent Companies joining No 4 Ind.Coy. In February 1941 he joined No. 2 Commando as a Lieutenant in 5 troop. 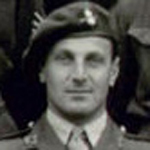 Captain Gerald Savill served on the staff at the Commando Basic Training Centre. Post war he was a member of the Commando Association and is listed on their Lost Legion 10 pamphlet (members they had lost contact with), his last known address being Heswall, Cheshire. 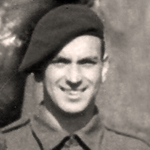 CSMI Roy Smith, from Topsham, Devon, served at the Commando Basic Training Centre. Commando Association newsletter 118 obituaries issued Feb 2004. 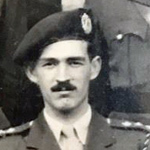 Lance Sergeant Leonard Suttling served as an instructor at Achnacarry in 1942/3, and was on the weapon training staff at the Holding Operational Commando at Wrexham in 1944/5. Later promoted Company Sergeant Major. Extract from Commando Association newsletter 61 of Sept 1975, ".........our blind comrade ex CSM Len Suttling of Grays, Essex. He. was L/Sgt. 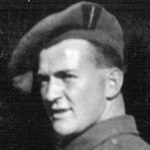 instructor in '42/'43 at Achnacarry, a Sgt. on the weapon training staff at HOC Wrexham '44/'45, and also went on the climbing course at St. Ives. " Read more about TEWKESBURY, E.F.
Lieut. Thomas was from Maclear in the Transkei, South Africa. 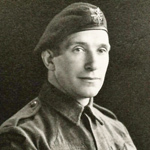 The South African Legion website records him as attached to the RM Commandos, 4th Special Service Bde., during the allied landings at Normandy, and that he recieved shrapnel wounds to his leg. Read more about THOMAS, D.C. Private Jim Thomas, R.A.O.C., was one of the permanent staff at Achnacarry. Commando Association newsletter 76 issued March 1983. 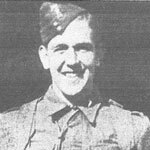 William James Turney enlisted as a Private into the 6th Beds and Herts Bn., TA on the 29th January 1940 and was quickly promoted Acting Lance Corporal. He volunteered for the Independent Companies (Ind. Coy.) and on the 26th April 1940 was attached to No 3 Ind. Coy. Having reverted to Private in order to get into the Ind. Coy. he was quickly promoted to Lance Corporal on the 1st May. On the 4th May he along with the whole of No 3 Ind. Coy. sailed with Scissors Force to join the expeditionary force in Norway (Operation Avonmouth). 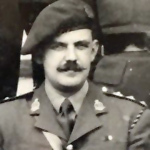 Charles Edward Vaughan, born 1893, was originally attached to No.7 and No.4 Commando before taking up his role as the Commandant of the newly formed Commando Depot (CBTC) at Achnacarry. 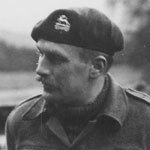 Captain Percival Walbridge served as a Weapons Training Officer at STC Lochailort and the Commando Basic Training Centre. There is reference in the London Gazettes to his promotion on the 18th Jan. 1941 from a Warrant Officer class 2 at the Small Arms School to Lieutenant Somerset LI. [Source: LG 11Feb 1941; Supp 35075; Page 891].